Here a start collection of projects made while at Zesbaans. De Metronoom plays the rhythm of the night. 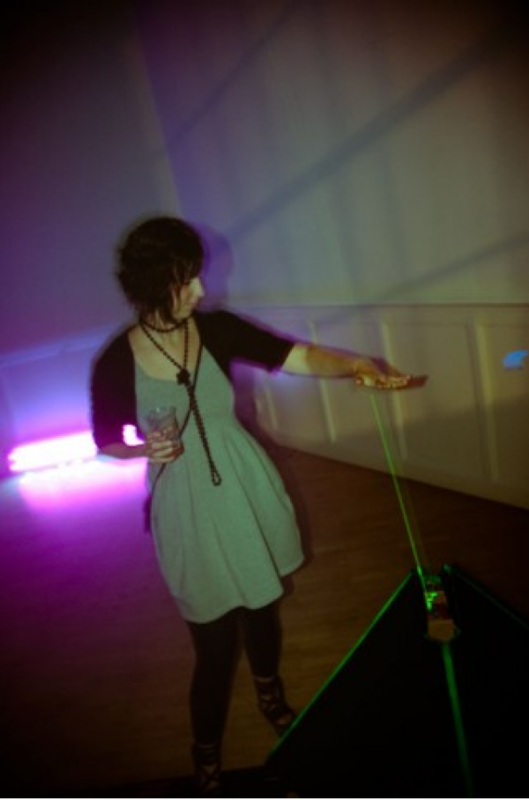 Six connected installations point six laser beams into the room. 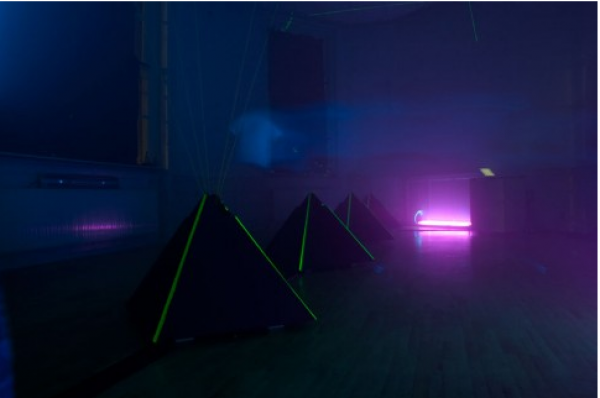 Visitors play the lasers like instruments and compose a soundtrack, arranging samples from classical instruments, street artists, beats and the machine room of a printing press. Showcased at the Mood Elevator party at Trouw Amsterdam and Stekkertest at Festival aan de Werf in Utrecht. 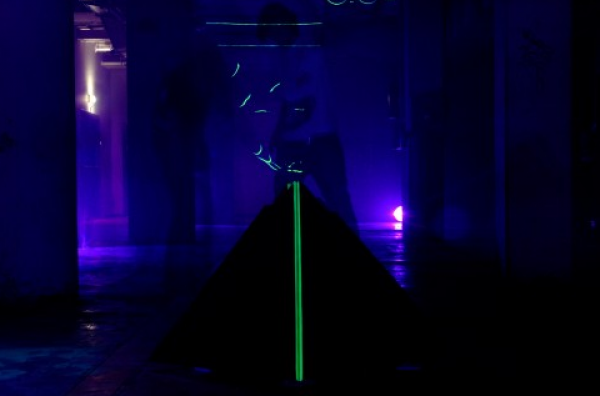 Watch an impression of the Mood Elevator night at Trouw by Bonafide Binky on Vimeo. 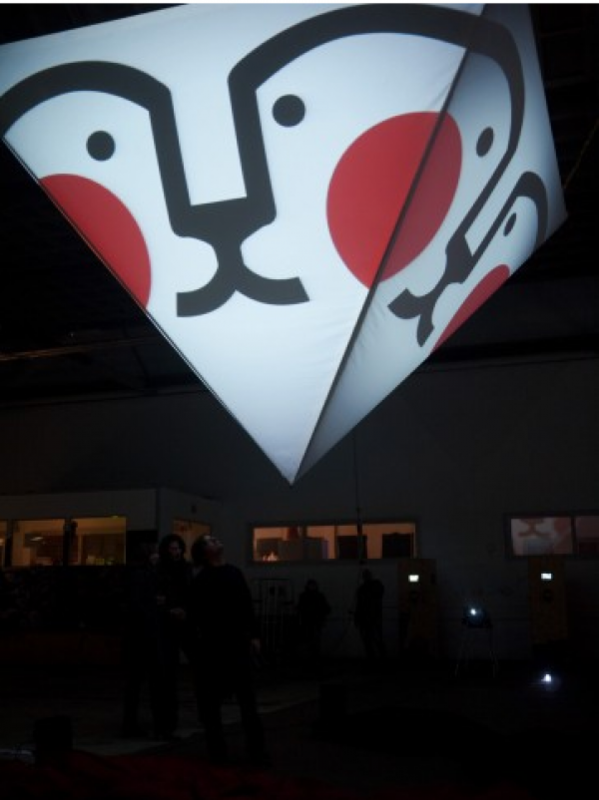 Watch our 10 minute talk at This Happened Utrecht about the making of De Metronoom on Vimeo. This Happened is an event for interaction designers.